I Forgot My Outlook Password - How to Unlock? Outlook.com is one of the most favorite and most used web based email client program that helps to save, send and receive emails, contacts, tasks and other calendaring services from Microsoft. It is the world's first ever webmail client service and was named as Hotmail but later it renamed to Outlook. Not to mention that it provides enormous amount of features that will cost you a fortune if you have used any program similar like that. The best part is it is free to use and most of the official work are maintained by using Outlook. Outlook does requires a combination of username and password to access your main account. And the real hallucination begins when you realize that you forgot your own Outlook password. This can be a real nightmare since all the serious and official stuff are maintained using Outlook. That means you won't be able to remember the client meeting, you won't be able to receive and send important emails and what not. It is indeed a serious issue that you should fix as soon as possible. As usual, we have come up with some solutions that will help to recover the password of your Outlook account even if you forgot. The procedure difficulties may vary according to the expertise of the users but we will try to explain each methods as briefly as possible so that all kind of audience will be able to follow them. Outlook uses Microsoft as the default account type which means if you are able to reset the password of your Microsoft account then it will automatically change your outlook password as well. Not only that, Microsoft account is the default account type for all Microsoft services including outlook, Skype, Xbox, One drive and so on. So, if you are changing the password of your Microsoft account then you are also changing the password for those mentioned services. Here's how to reset the password of your Microsoft account. Step 1. Go to https://account.live.com/resetpassword.aspx and click on "I Forgot My Password" and hit next. Step 2. Enter the email or phone number associated with your Microsoft account and click on next. Step 3. Choose how you would like to receive the one time security code. You may choose either email or phone number to receive the code. Step 4. Enter the security code that you have just received on your email and phone and click on next. Step 5. 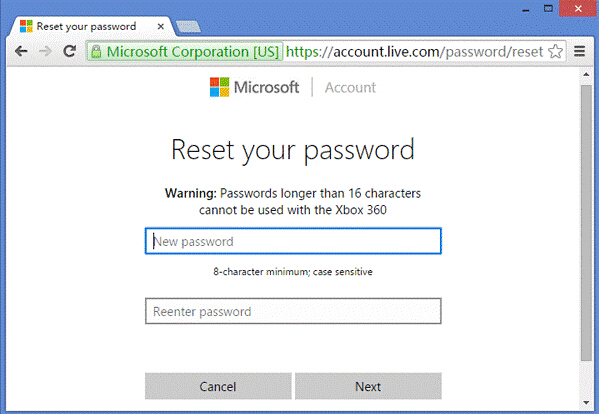 Now, set up a new password for your Microsoft account and confirm the changes. Step 6. That's it. Now you can login to your outlook but this time use the new password to login and it should work just flawlessly. 1. This method will not work if you forgot your Email or Phone number associated with your Microsoft account. 2. It won't work if you are not using Microsoft as your default account type for outlook. 3. It will probably mess up the settings of all your Microsoft services. 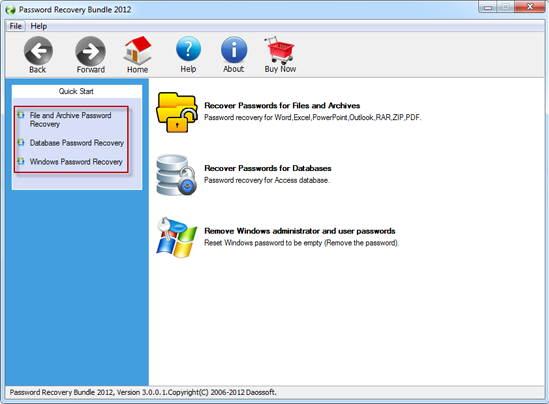 Password Recovery Bundle is a professional outlook password recovery program that helps to recover your Outlook password in no time. It uses the PST file generated by Outlook to crack your outlook password and it uses several algorithms to recover the password including brute force and dictionary attacks. It is currently supported in all Windows version computers. Simply follow these steps to unlock your Outlook account password. Step 1. Download the program and install it on your computer. It is completely free to try but if you are using a strong password then it is recommended to purchase the registered version for better experience. You can see the program integrated with much function. Step 2. Click on the "Open" button from the top menu bar and select the ".PST" file from the Microsoft Outlook folder. Step 3. Select a type of attach that you want to perform to recover the password. For example, if you are choosing Dictionary attack then you will be asked to upload the dictionary database file. You can either download it from the internet or use the default one provided by the software. Here we recommend using Mask to recover your outlook password. It would be fast if you remember any part of your password information, like password length, prefix or suffix. Step 4. Repeat the same process with Brute force and other attack options. And finally click on "Start" to start recovering the password. Step 5. The password will appear on the main interface of the program as soon the tool detects the correct password for your account. That's it. You may now use this password to login to your Outlook account again and you should be able to sign in normally. As soon the password is recovered, it is recommended to change the password to a new one and this time write down the password in a piece of paper or in a text file so that you can retrieve if the same mistake happens again. 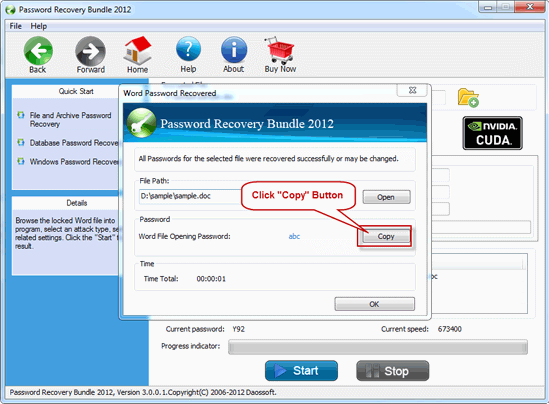 iSeePassword Outlook Password Recovery is indubitably a life savior program that can help you to prevent from losing all the important emails and reminders that you have shared in Outlook.